Our favorite is the IDT or Integrated Duel Transport. This wonderful exclusive feature evenly feeds your fabric with the upper and lower feed dogs! Perfect seams on all fabrics, from light to heavy weight. - Integrated, no separate attachments needed. - Available on most PFAFF® machines. - A large assortment of presser feet for a variety of techniques. - Slim design, doesn‘t interfere when sewing. All of our wonderful PFAFF products are sold in store only. Our web store is relatively new, so not all of our products are listed. 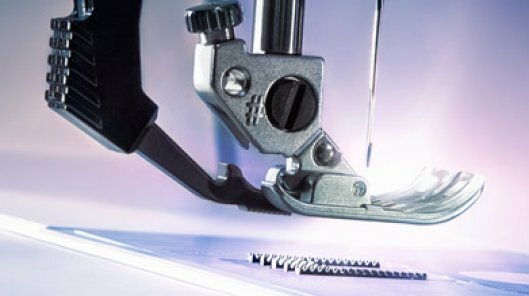 You can experience several of our PFAFF machines and accessories here. Please don't hesitate to call with any questions.